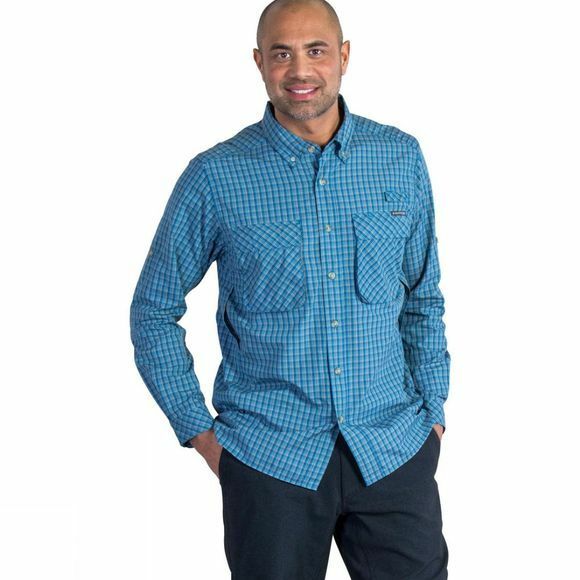 The classic ExOfficio Men's Air Strip Micro Plaid Long Sleeve Shirt has been given a slightly slimmer fit through the torso and upper sleeve to create a comfortable yet modern silhouette. The shirt features a three-position sun collar, side vents, a three-position cape vent and is rated UPF 30+ to keep you protected on sunny days. The streamlined front pockets, one with a security zip, hold your items securely. The utility tab holds anything from sunglasses to a fishing rod while you're tying a fly.